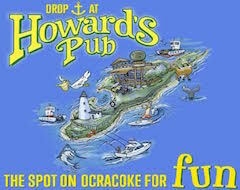 Mom & daughter date night consisted of a new, exciting event on Ocracoke! OVFD surprised Firemen's Ball attendees with a special announcement. Girl Scout Cadette Troop 2829 took a trip in May, a very long trip! This past week was a big one for baseball on the island! Portsmouth Homecoming was exactly what I expected it to be. Christian Stevens and "Today's Special" swept the Cub Scout Pinewood Derby. OISFT may have grown older in 33 years, but it hasn’t grown up. Where there is sun, there is Baseball! Today is the twentieth day of April. It's 420.